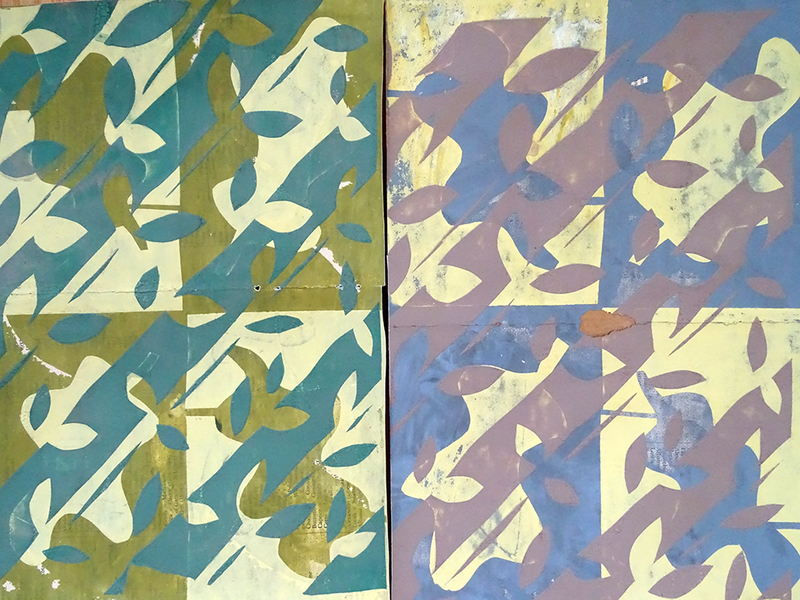 This resource shares a method for making screen printed papers, exploring pattern, and repetition. 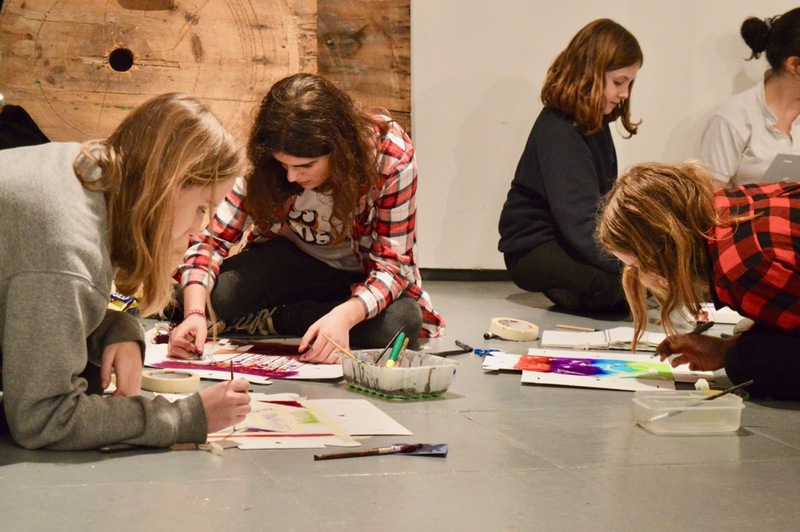 It’s a great way for teenagers or adults to explore screen printing. The method results in lots of patterned papers being printed in a quick period of time and it will really suit those who like to work intuitively and experimentally. You might also like this resource in which we used the printed papers to create a one-of-a-kind sketchbook! The aim behind this activity is to explore overlay printing to create pattern. In summary, stencils are drawn based upon a shared grid system. The grid system enables each stencil to share a basic structure (which lends itself to over printing), whilst giving enough freedom to make each stencil unique. The result is a wide range of patterned papers with an organic, inventive feel. This is lovely and I look forward to delivering a project along similar lines. 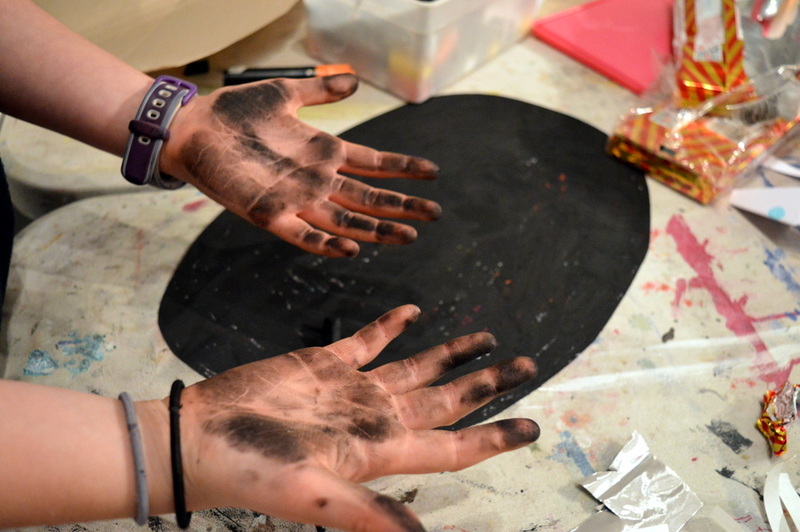 I have been recently doing screen printing with my students (re self portraits) but we have had trouble with bleeding. I purchased a very fine mesh suitable for both paper and textile(as some of the students wished to realise their designs on t-shirts) . For the t-shirts we used freezer paper so there were no problems – but on the paper (which is what I was after primarily) we used cartridge and photocopy paper and both have bled. Does newsprint work each time without bleeding ..? I have used seawhite acylic paints mixed with an acrylic (silkscreen) medium. Would really like some tips as have spent hours researching. Hi Ellie – I had a quick chat with paula this morning – She apologises – she did post a reply which somehow didn’t get published! Yes! Use newsprint for best results – let us know how it goes!